Bitcoin Swiss Army Knife in a verifiably secure self-contained Live CD/USB. Supports air-gapped Bitcoin transactions. Makes offline cold storage (slightly more) practical. BitKey is a bootable system image based on Debian containing everything you need to perform highly secure air-gapped Bitcoin transactions. You don't need to install it to a hard drive because it runs live from RAM. You just write the ISO image to a USB drive or burn it to CDROM. How do I use BitKey? We've documented several common use cases right on this website's usage section. Click on the various boot modes for instructions. How secure are air-gapped systems? It depends! Air-gapped systems raise the bar because they are physically prevented from communicating with the Internet. That prevents an attacker that doesn't have physical access from actively attacking the computer and/or remote controlling it. Do I have to use BitKey on a separate air-gapped computer? Not if you don't want to, or if you just don't need the extra security. BitKey also works online in two modes: cold-online and hot-online. See the usage section for details. How much security does BitKey provide? It depends! At one extreme, using BitKey in just the right way is currently the closest you can get to perfectly secure Bitcoin transactions (without doing them in your head). Even when you use BitKey in the most insecure mode possible (e.g., hot-online) it still provides better security than 99% of Bitcoin users are getting from their web wallets and Bitcoin phone apps. If the theft of hundreds of millions of dollars worth of Bitcoin from the Bitcoin exchanges has left you, like us, with a healthy sense of paranoia, then you'll want to use BitKey in the most secure way possible in which case nobody in the world is getting better security for their Bitcoin transactions. Nobody. How does BitKey compare with a hardware wallet like Trezor? In terms of pricing and availability, BitKey is free and runs on ubiquitous general purpose computers. In terms of security, it can provide equivalent or better security than a hardware wallet, depending on how you use it. In terms of convenience it's hard to beat a hardware wallet. Using BitKey to implement the most paranoid, trust-minimized workflows provides superior security at the price of not being as easy to use. For an in-depth analysis, read the discussion with Trezor developer Tomas Dzetkulic (better security than Trezor?) and judge the pros and cons for yourself. Do I need to trust BitKey not to steal my Bitcoin? Not if you're careful. In fact, if you have reason to worry we encourage you not to trust BitKey. In the words of our dear leader: trusted third parties are a security hole. As a Bitcoin swiss army knife BitKey supports many usage models. What's interesting is that this includes at least one use case which doesn't require you to trust BitKey at all. We call it the If I tell you I'll have to kill you usage model. It provides almost perfect security even if BitKey itself is rotten to the core. Also, if you don't trust the binary version, you can always build BitKey from source. Do I have to be ultra paranoid to use BitKey? No. We understand that people routinely trade off security for convenience, otherwise they wouldn't get anything done. We recognize that there is an inescapable trade off between convenience and security and that risk is proportional to the value of your wallet. So it doesn't make sense to enforce any specific trade off. We want BitKey to help make the most paranoid usage model practical for day to day use but at the same time, we want to let the user decide how high (or low) to raise the bar. It should be your choice. No. There's room for improvement. Mostly in terms of improving the usability and reducing the potential for human error. Also, adding support for locally attached printers so you can print paper wallets. Stuff like that. But for a solution to be useful it doesn't need to be perfect, just better than the alternatives for some use cases. Unfortunately, the problem is many people currently using Bitcoin don't understand the risks they are taking and place too much trust on incredibly insecure solutions such as web based Bitcoin wallets, accessed from a general purpose PC that is installed, configured and used by a person who is not and will never be a security expert. That might be OK for very low value wallets that you wouldn't mind losing but beyond that it is very foolish. BitKey on CDROM: use your favorite program to burn the ISO to CDROM. Nothing special. CDROMs are naturally read-only and tamper resistant. BitKey on USB: If you don't burn BitKey to a CDROM, writing BitKey to a USB stick with a hardware read-write toggle (e.g., Kanguru FlashBlu) is the next best thing. On USB sticks without write protection, you can remove the BitKey USB after booting as an additional security measure. BitKey loads into RAM so after booting you no longer need the USB. By default, BitKey stores your wallet encrypted on a USB flash drive AKA USB stick. BitKey Live CD/USB supports three modes of operation selected from a boot time menu. If the instructions are carefully followed, cold storage modes creates an airgap which ensures that your wallet's private keys are never loaded into RAM on a computer connected to the Internet. Allows you to create & watch wallet, prepare & sign transactions. In hot online mode, the private keys are known to a computer connected to the Internet. This is the most convenient mode because you only need one computer. After booting BitKey resides in RAM and saves nothing to your hard drive. You need to trust that your copy of BitKey hasn't been tampered with and that the original signed BitKey image hasn't been compromised. If you use a network enabled app (e.g., Chromium) and an attacker exploits a zero-day vulnerability to gain access to your online system, say goodbye to those Bitcoins! In this mode you don't use BitKey or any hardware wallet type device. Your wallet's private keys are stored on your phone or PC and known to an Internet enabled device that is vulnerable (or will be sometime in the future) to the efforts of thieves who would like nothing more than to steal your Bitcoin. You rely on the magical power of wishful thinking. You're not important enough to get hacked and any opportunistic malware infection you do get is not going to include any Bitcoin stealing functionailty. Right? Right! Good luck! Hardest to use but leaves no trace of wallet keys in any storage medium. Minimizes trust in BitKey. Your wallet keys are only stored in your head. This workflow is inspired by how Jason Bourne stores his Bitcoin. To ensure private keys do not survive in RAM, turn off computer running BitKey and disconnect power source for 15 minutes. After generating wallet, you can send Bitcoin to this address. Unfortunately, Warpwallet makes it foolishly easy to skip the part where you input your e-mail as salt. Providing a salt mixes it in with the passphrase you provide. Non-experts may not realize how important this is. Without the salt, attackers can attempt to crack all Warpwallets simultaneously. With a salt, they have to divide their cracking power amongst a list of suspected e-mails. Cracking a million salted Warpwallets is a million times harder than cracking a million unsalted Warpwallets. Using a salt gets you much more security risk free. There are no privacy implications and your e-mail is never exposed anywhere. In fact, you can use any e-mail you want, as long as you're sure you won't forget it. Humans are poor sources of randomness and much more predictable using statistical models than they think. Technology is ever moving forward and cracking techniques always get better, never worse. You may not be familiar with the state of the art, so be extra careful. The ideal passphrase is 6 to 8 truly random diceware words. If you're going to try and come up with a random passphrase yourself, be paranoid. They really are out to get you. At least use zxcvbn to measure passphrase strength. It's not perfect, but it should give you a clue. You'll want at least 65 bits of entropy for a salted warpwallet, especially if you are going to be storing funds long-term. DO NOT USE KNOWN PHRASES, QUOTES OR SENTENCES FROM A BOOK. More wallets are lost to routine forgetfulness than sophisticated theft. If you're not continually accessing your Warpwallet there is a very high likelyhood you will eventually forget your passphrase after a few months or a few years. You only need to forget a single character for your wallet to be lost forever. This risk needs to be balanced with the risks of making a paper backup. Consider making a paper backup of your passphrase and destroying it only when you are absolutely sure you will not forget it, then use spaced reptition learning to ensure it stays in memory until you want to access the funds. Thanks to Ryan Castellucci for inspiring this section. Scan qrcode of signed transaction with phone and broadcast transaction to network. Defense in depth: increase security by forcing attackers to overcome a plurality of obstacles. Minimize trust: minimize the number of third parties that need to be trusted, and minimize the degree of trust that needs to be placed on the existing trusted parties (e.g., BitKey developers to a degree). Minimum privilege level policy: for example, if a component doesn't need network access, don't give it to it. If a mode doesn't need network access, enforce lack of network access. Transparency and verifiability: only use open source components who's integrity can be verified in principle and in which violations of integrity are more likely to be detected. Assume and attempt to compensate for human fallibility: avoid assuming users are advanced Bitcoin and security experts. Do the most to protect them from natural mistakes and lack of awareness with more secure defaults, friendly reminders, health warnings, tools for verifying against mistakes. See README in source code for specifics. BitKey is built with TKLDev, the TurnKey GNU/Linux build system. This mode trades off security for the convenience of not having to sign transactions on a separate offline computer. We recommend it for low-medium value wallets. It's better than storing your wallet on a typical malware infested PC. This mode trades off convenience for the security of keeping your wallet offline in cold storage. Transactions are prepared in cold-online mode and signed in cold-offline mode. This usage model is appropriate for medium-high value Bitcoin wallets. The most paranoid usage model assumes an evil BitKey is part of the attack. It's the closest you can get to perfectly secure Bitcoin transactions without doing them in your head. The recommended workflow with multiple PC's is to use another USB storage device, which we'll call shuttle, for transfering data between your regular PC and BitKey cold-offline. The recommended workflow with multiple PC's is to use another USB storage device, which we'll call shuttle for transfering unsigned transactions from your regular PC to BitKey cold-offline, and a smartphone with QR code scanner to transfer from BitKey cold-offline to regular PC. BitKey is free software. It's hosted on GitHub, available for peer-review and improvement by anyone in the free software & Bitcoin communities. Wallet files are stored in a LUKS encrypted loopback filesystem. During creation, estimated passphrase strength such as entropy and crack time is displayed. BitKey boots live (no installation required), and copies itself into RAM, allowing the boot media to be safely removed. Electrum Bitcoin client, warpwallet, coinbin, incognito chromium, bitaddress, bitcoin paper wallet, qrcode, zxcvbn and bx. File manager, network, printer and wireless managers. On-screen keyboard. Auto-mounting USB storage support. Download the latest BitKey ISO image and burn to USB or CD using the instructions above. Alternatively, you can build the ISO image yourself from source. Download the BitKey ISO image and burn it to a CDROM (the read-only kind) or USB flash drive. Sign up to BitKey's low-traffic announcements newsletter to get important security bulletins and updates on major new releases. Other Bitcoin related projects by the TKL core devs include Block Explorer - a free software web tool for exploring the Bitcoin blockchain. 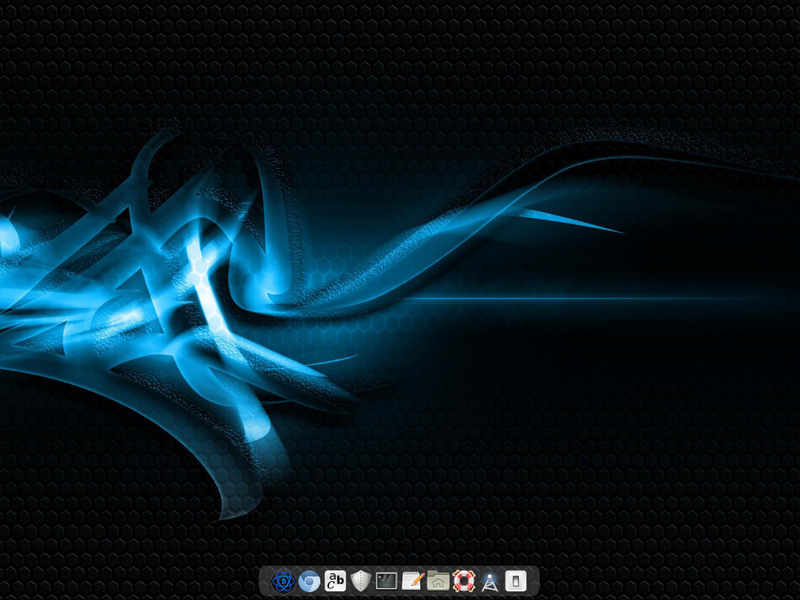 TurnKey GNU/Linux is a Debian based library of system images that pre-integrates and polishes the best free software components into ready-to-use solutions. TurnKey was started in 2008 by Alon Swartz and Liraz Siri who were inspired by a belief in the power of free software, like science, to promote the progress of a free & humane society.